Facebook wants another shot at spontaneous sharing. Facebook is reportedly building a new camera app that crosses the spontaneity of Snapchat with live streaming. The Wall Street Journal’s unnamed sources describe the app as a “camera-first” format, similar to Snapchat. Users who are shooting a video may also be able to switch to a Facebook Live stream. This would not be a separate network, but rather a way to feed more photos and videos into Facebook proper. 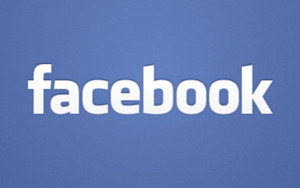 For now, the app is reportedly in early-stage development, with a prototype built by Facebook’s “friend-sharing” team. It’s possible that Facebook will never release it to the public. But as the Journal points out, the development itself underscores Facebook’s recent efforts to keep people sharing information on its social network. Rumored camera app aside, Facebook has also tried to boost sharing among private groups with a separate photo app released last year. And in Messenger, Facebook now offers a “Photo Magic” feature that scans users’ camera roll for faces, letting users share photos more easily. Why this matters: Facebook has tried a couple of times before to mimic the types of photo- and video-sharing that happens on other social networks. In 2012, the company launched a dedicated Camera app just a month after acquiring Instagram, and killed it a couple years later. A Snapchat competitor called Slingshot arrived in in 2014, and went away last year. It’s unclear what would be different this time, aside from the live video option, but perhaps Facebook’s newfound interest in private sharing will help get people interested.